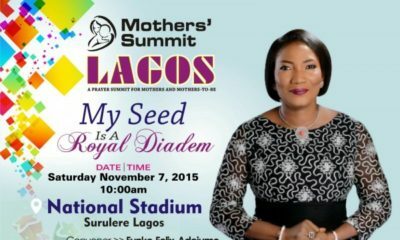 The Mothers’ Summit has gone around many cities both in Nigeria and abroad and now Lagos is set to experience the power of God move as all mothers & mothers in waiting assemble in the Marquee at the National Stadium to intercede on behalf of their children. If other experiences in life have not humbled us and shown us how dependent we are on God, then parenting a child will. Rev. 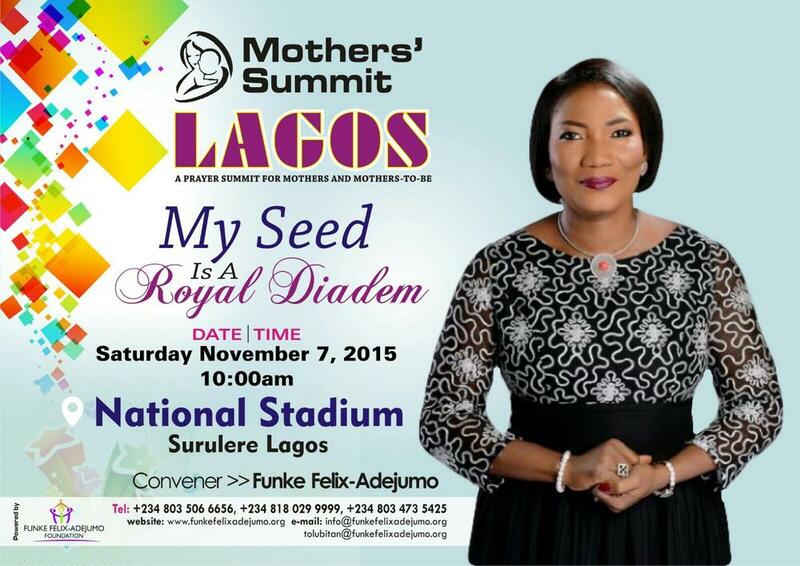 Funke Felix-Adejumo understands our desperate need to depend on God while raising our children, that is why she travels all over the world leading women to pray for their children, so they can grow up to fulfill the destiny which the Lord has ordained for them.